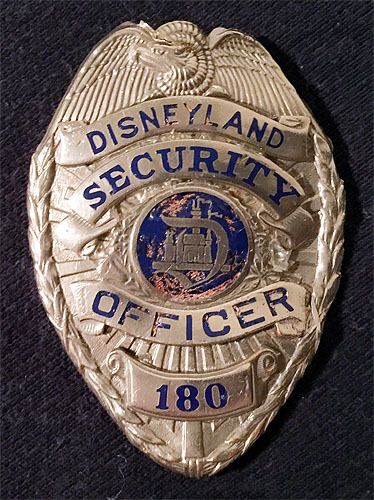 Badges worn by Disneyland Security Officers through the years. The fine men and women who secure the magic. 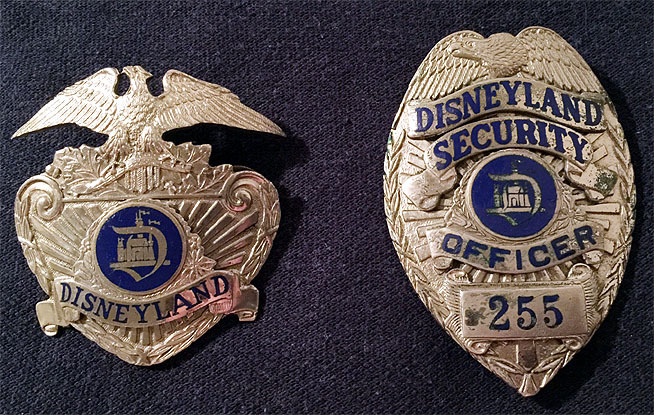 Badges worn by security officers at Disneyland, from 1955-1957. 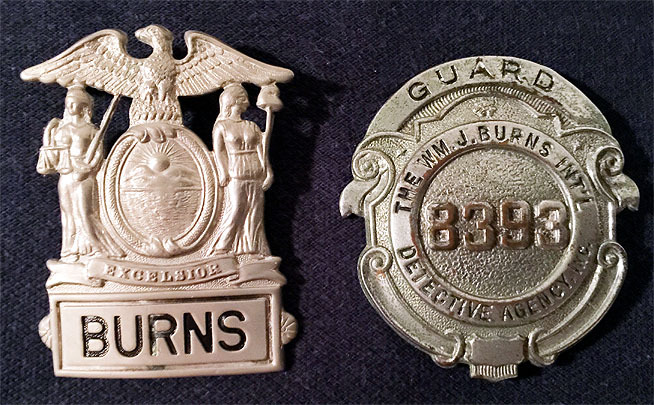 For those two years, security was contracted out to the Burns Detective Agency. 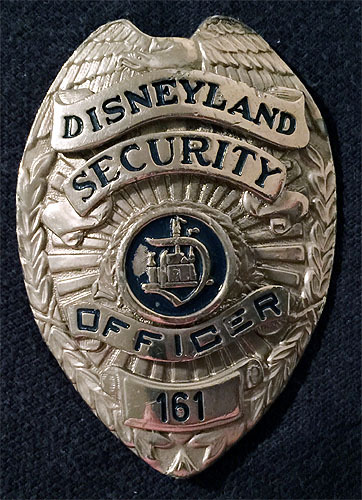 Disneyland Security Officer badge, from 1957 - ca. 1970. 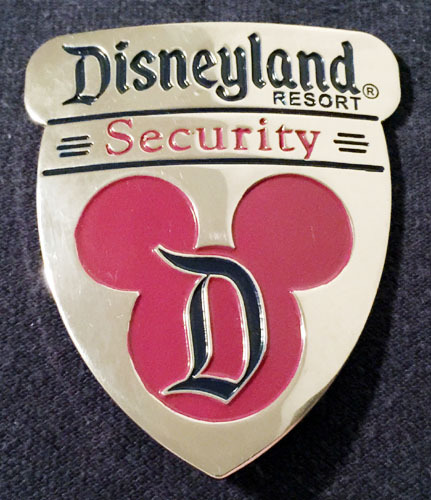 Disneyland Security Officer badge, from 1970 ca. 1980. 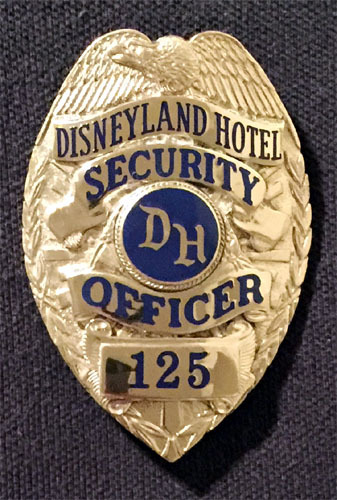 Disneyland Security Officer badge, from ca. 1980 - 2000. 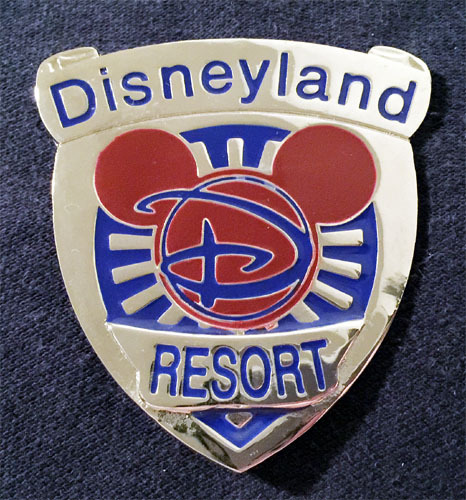 Disneyland Security Officer badge, from 2000 to 2005. 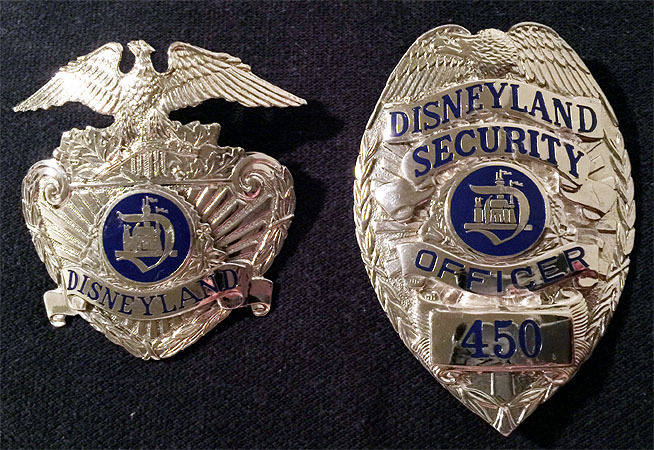 Disneyland Security Officer badge, from to 2005 to today. 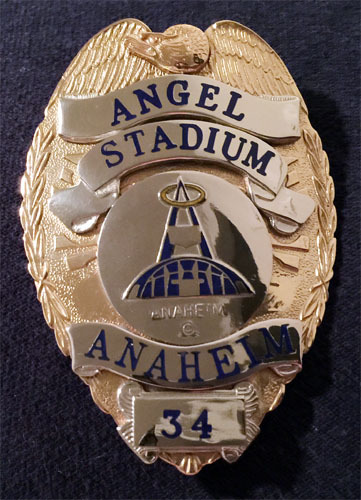 Anaheim, CA, when Disney owned the team, 1996-2003.